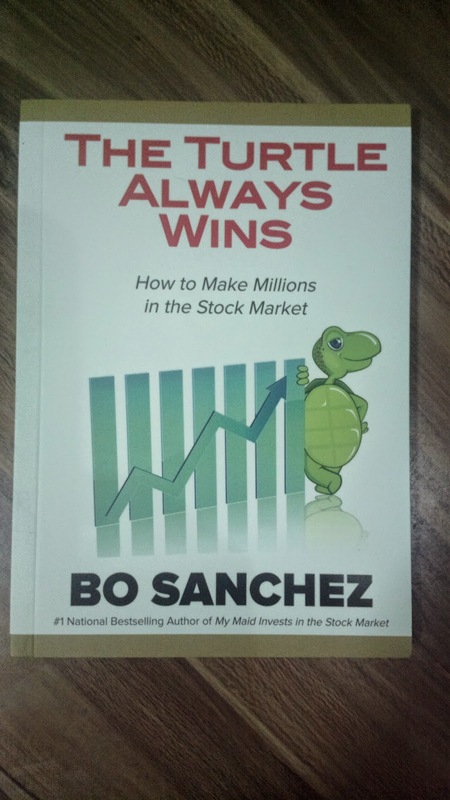 Here's a short review about the book by Bo Sanchez called The Turtle Always Wins (How to Make Millions in the Stock Market). You might also want to read a review of another book called How toTurn Your Passion into Profit (8 Keys to Build a Truly Rich Business. · This type of investment is for long term (count 20 years) and is intended for retirement. · The investment amount recommended is very minimal but should be consistent every month regardless of circumstances. · Investment will be for giant companies only and must be diversified (5 to 6). Never invest in penny stocks (small companies) nor be bothered by hot tips (supposedly high earning stocks according to some or may have resulted from hyped buyers). · The giants prescribed are not those that are too large that their growth will be minimal nor in a mature or saturated industry that the growth will be similarly not significant. · A cheat sheet includes buying when it’s below price and selling when it’s near target price. I also enjoyed the analogy which compared stock investment with a race where four participants take part. The squirrel is the typical trader which somewhat excitedly gambles in the stock market. The effect of which can either lead to huge gains or similarly huge losses. The rabbit is the trained trader follows strict rules that plays it safe and may not lead to gains or losses. The sloth is the typical investor which buys and holds. An example will be investing 500k through mutual funds and just forgetting about it. It’s ideal if you don’t have a need for the money in years or decades and invests it in equity (stock market), bonds (government), or balanced (both). In case you choose equity, pick only companies you believe will remain strong for years to come. Lastly, the hero of the book, the turtle, wins the race with the slow but sure strategy as stated in the bullets above. Although the stock investing technique endorsed in the book called SAM or Strategic Averaging Method had been explained, the actual step by step process is missing and can only be received when you join their club, hence, it’s sort of a marketing ploy. If you’re looking for something that teaches stock market investing for starters, I’ve found this blog very useful: Stock Market Tutorials Philippines – Complete Guide. SAM is not for everyone though. You need to have a constant cash flow or cash machine to take part in it. If not, that should be your first priority. If you’re expecting money in 5 years or so, this is also not for you and you are better off with entrepreneurship or business. Supposedly, the previous book My Maid Invests in the Stock Market and Why You Should Too contains more practical tips when it comes to investing but I am yet to read my copy. I hope there are more tidbits to learn in that book. But for now, The Turtle Always Wins (How to Make Millions in the Stock Market) is a good introduction to the stock market world.